sector in Lithuania and increase the attractiveness of investing in it. 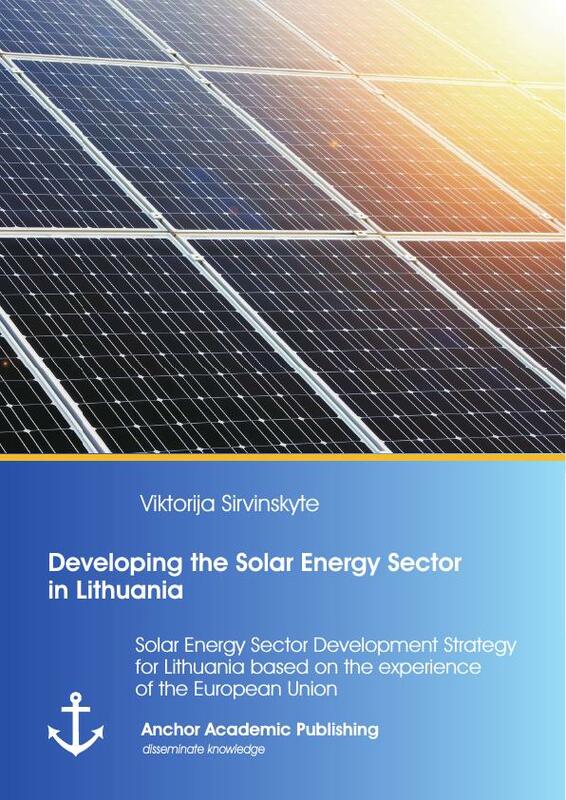 for the development model for this sector in Lithuania. increase the attractiveness of the sector for investors. 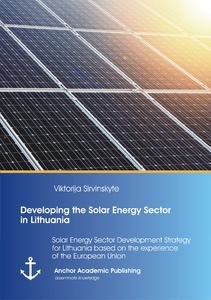 energy sector development in Lithuania. with general suggestions concerning the aim and tasks of this study. Practical calculations, comparisons and evaluations. method might help improving the current situation and create a better future for the sector. Union, it is essential to define the relevance of the Renewable Energy sector in this region. tion provided by renewable energy sources by the year 2020.
ty from renewable energy sources in the internal electricity market" (Directive 2001/77/EC). the creation of the basis for a future Community foundation in this regard. tric, sewage treatment gas, landfill gas, biomass, biogas, wind and solar energies. was created in between of the mentioned two. renewable sources and the economic stimulation of a dynamic sector. the reference values set out in the documents attached to the Directive. technologies connected with electricity from renewable energy sources are European companies. mal, biomass and solar energy is used for producing electricity as well as heat. energies as the ones, that are more useful, therefore, more relevant and important. growing number of countries. In the year 2012 solar photovoltaics jumped to the top spot. 2012. It is more than twice as much as it was two years ago. Lithuania and the other countries that were chosen for this study. development policy support was a crucial help. describe this sector and its importance more thoroughly. not least, maintenance required for solar energy is minimal. because it allows photovoltaics to offer competitive prices. European companies dominate in the global renewable energy sector between manufacturers. energy also helps to reduce air pollution, which has a direct influence on our health. electricity during the absence of sunlight by storing the heat collected to maintain the power. grid but to batteries as well, where the energy can be stored. allow using the energy for cooling in air conditioning systems with heat absorption. electricity created from solar energy can be adjusted and used for all our electricity needs. nouncing this year their plans to run their "iCloud" data centres exclusively on renewable energy. general, it is important to establish the possibility and approximate matter of its future demand. whether it is reasonable to invest in the solar energy sector or not. 0.3% during the 2012 in general. It was the first year that had annual GDP decrease since 2009.
sectors being energy consumers of great importance. indicators can also have rather big influence to the demand of the solar energy. Japan, India, Canada, the United States, Australia and other countries that show noticeable growth. not believed to be able to reach the levels of growth that was seen in the EU. year 2020 the installed power capacity of photovoltaics should result to 200 GW.